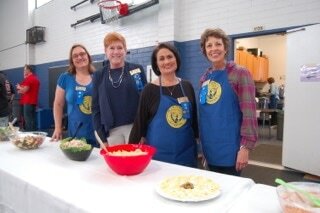 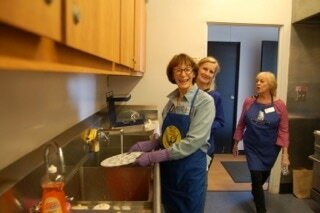 The annual Salad Luncheon is Soroptimist International of Oceanside-Carlsbad's longest-running fundraiser. 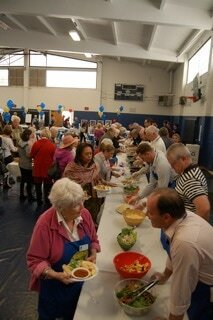 Club members prepare a wide variety of delicious salads and desserts for the lunch, and local celebrities do the serving. 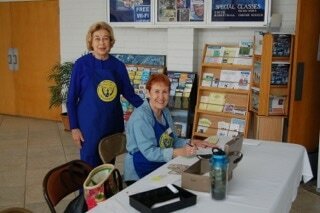 The event, which is in its fourth decade, is loyally supported by many of the same people year after year, which makes it a great place to catch up with old friends and be introduced to new ones.